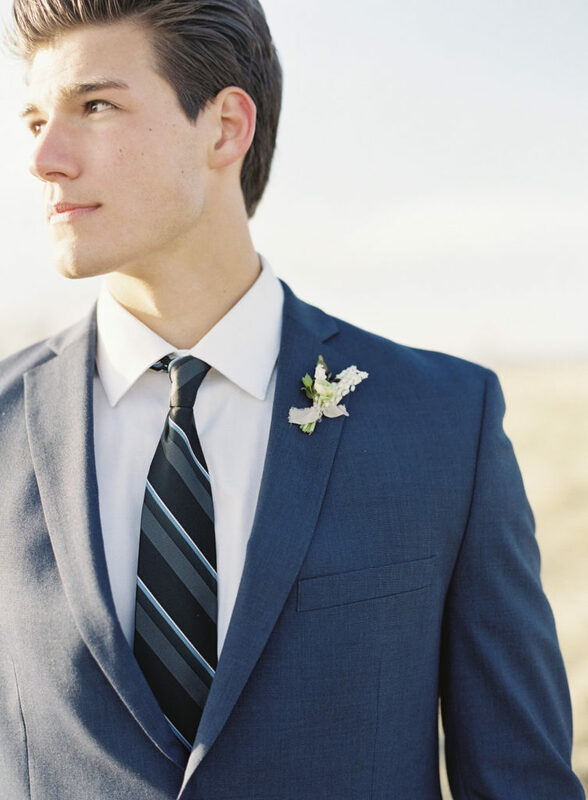 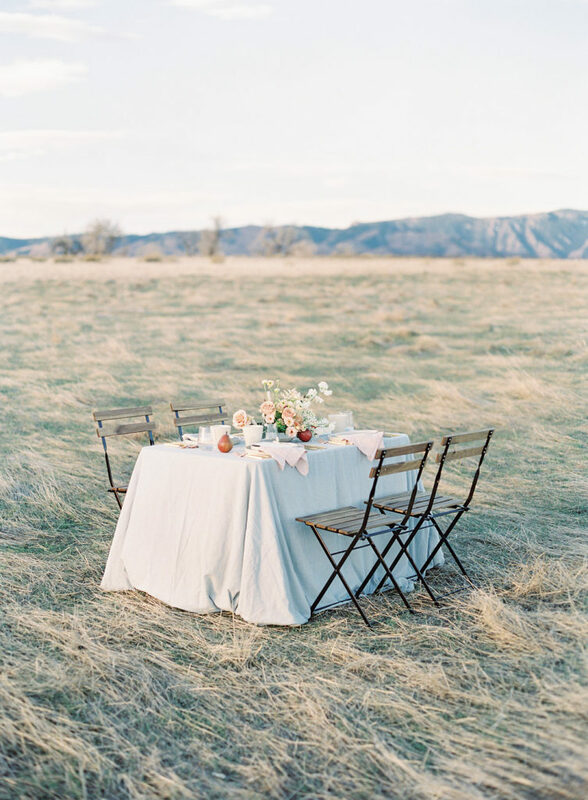 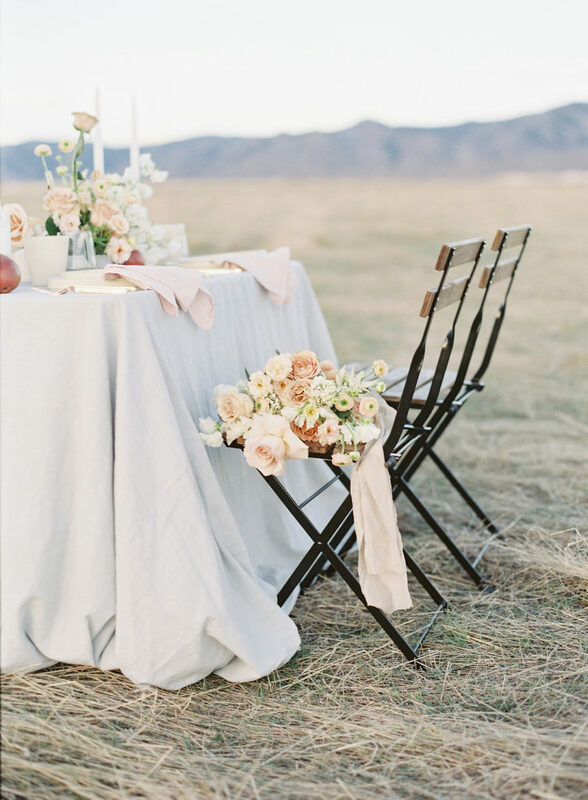 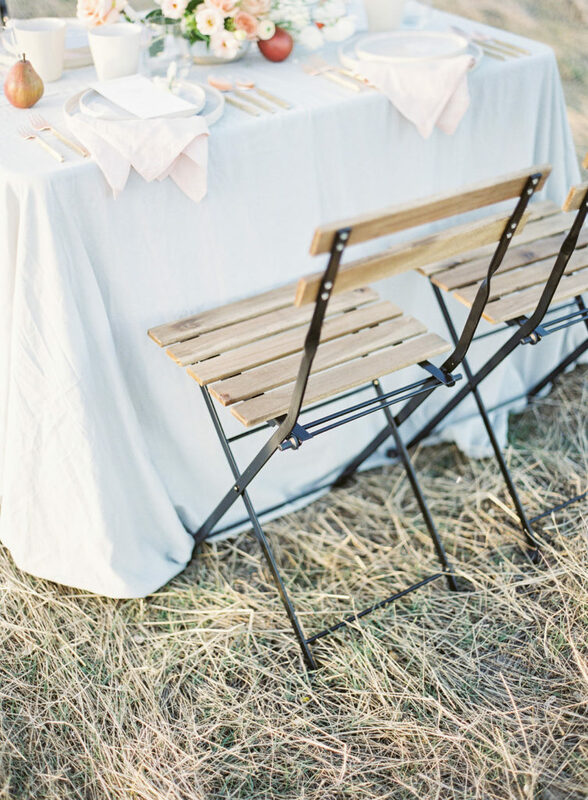 Our Colorado Romantic Spring Elopement in the beautiful foothills was inspired by organic textures, muted tones, and the natural landscape of the Colorado mountains and prairie. 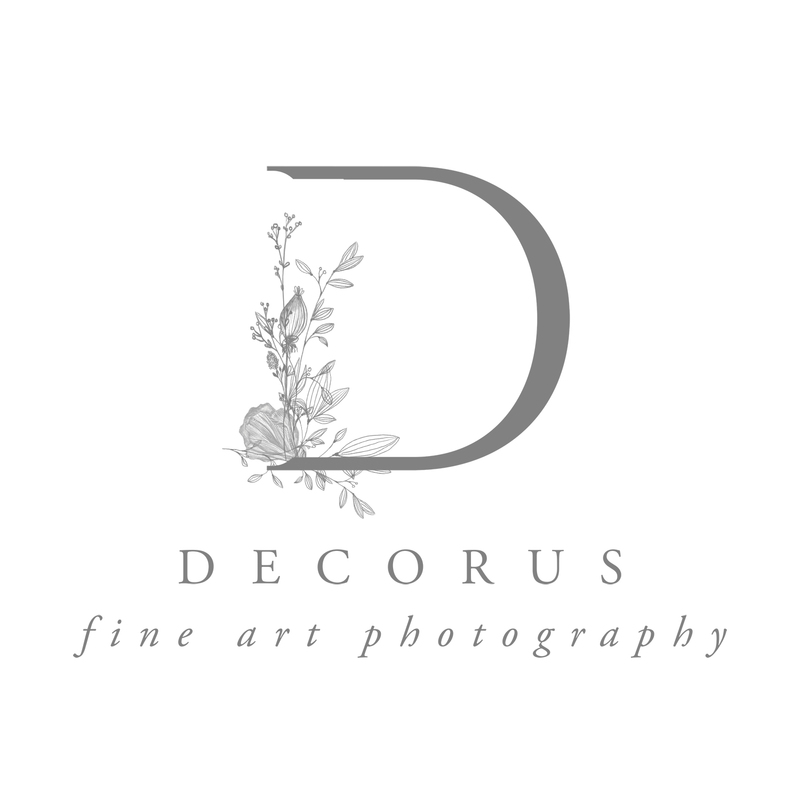 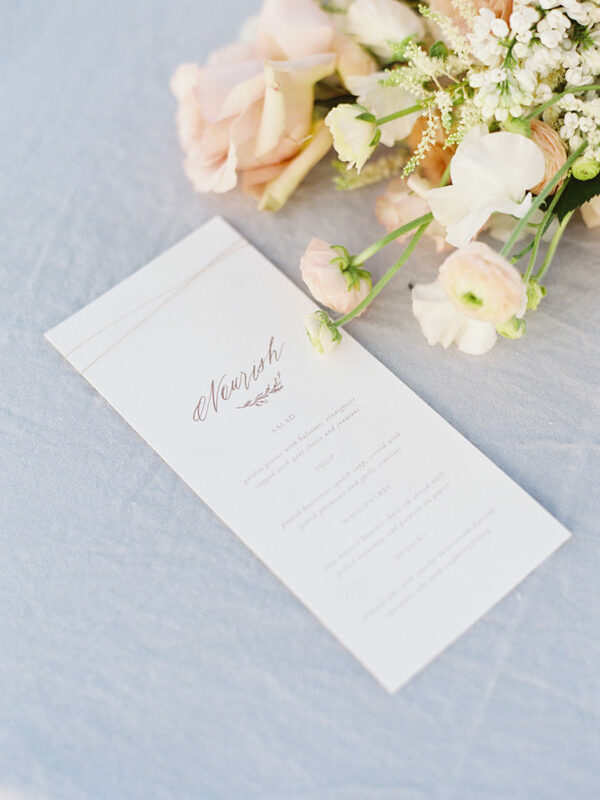 Decorus Photo captured the soft morning light through her use of film photography, focusing in on intimate moments between our bride and groom, the pale tones of the floral arrangements and the many textures that came through in the tablescape and detail vignettes. 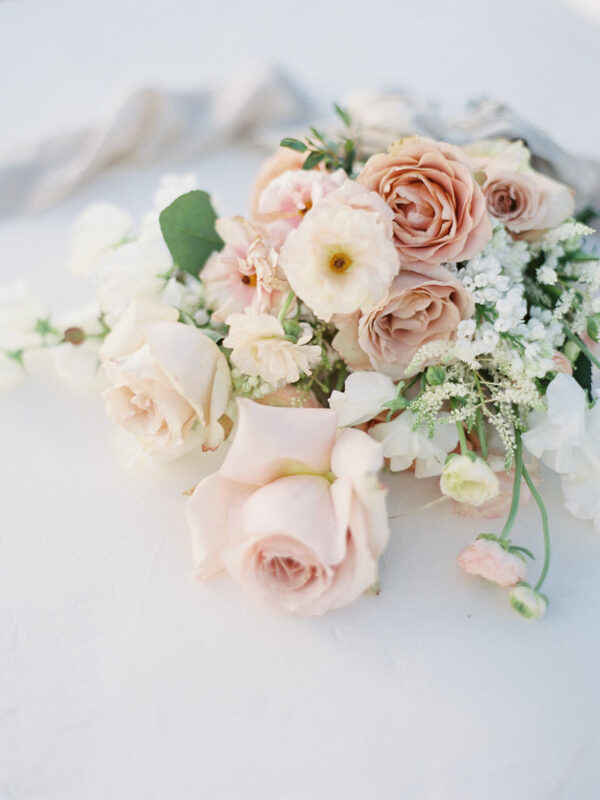 Flora by Nora provided a gorgeous spring floral design with dusty, muted tones in whimsical, organic vessels. 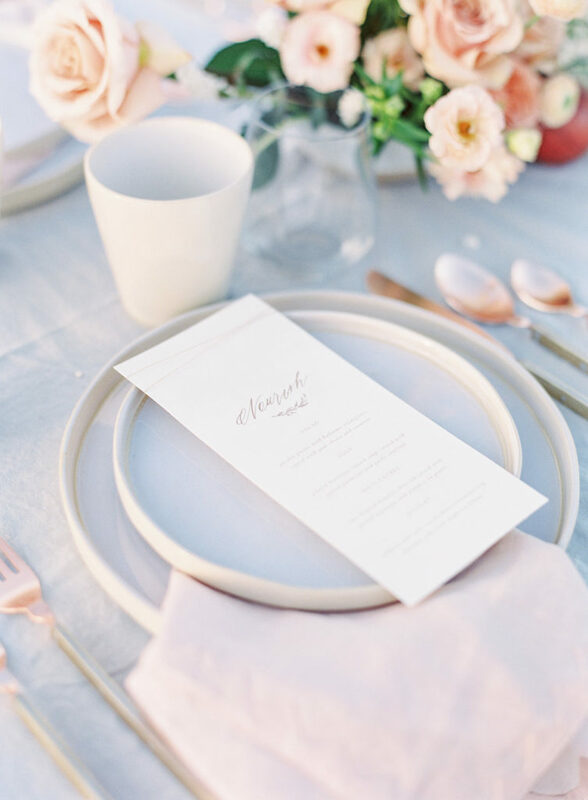 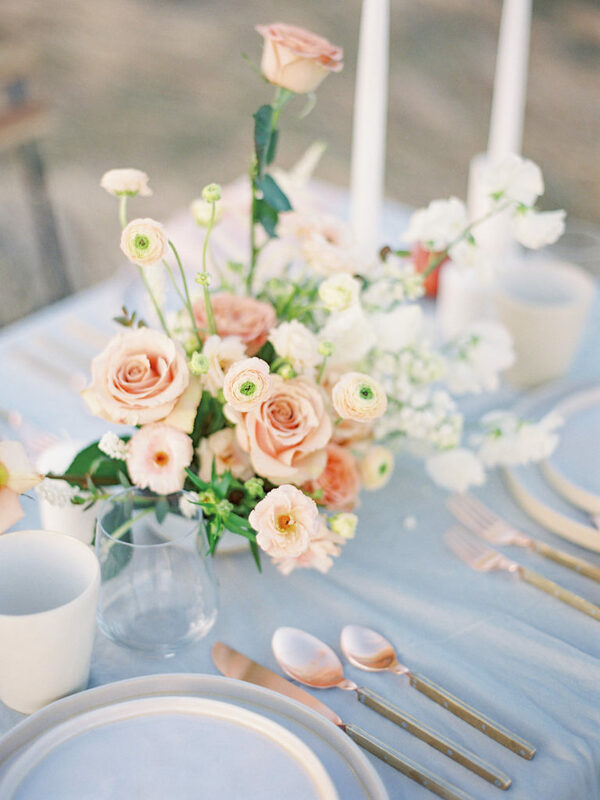 We used the tones from the floral arrangements to pull inspiration for our neutral tablescape, complete with clay drinkware and rose gold and farm-wood flatware. 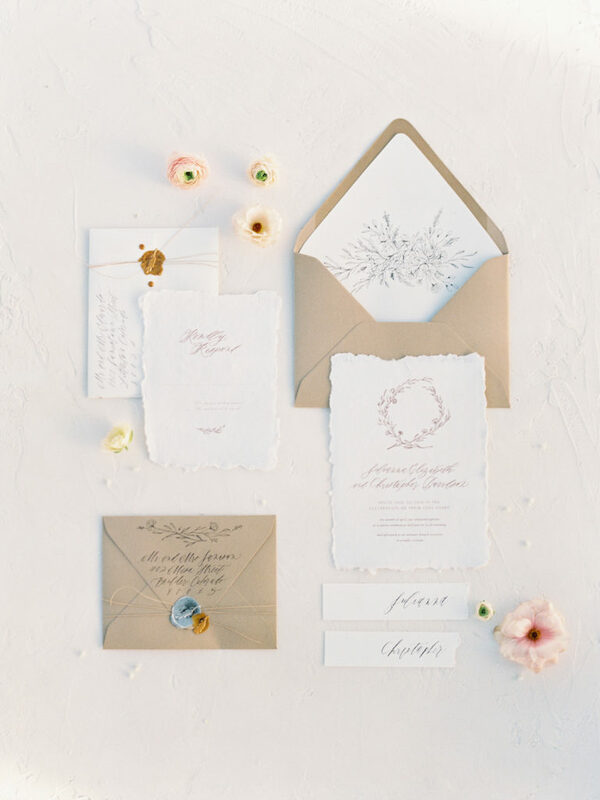 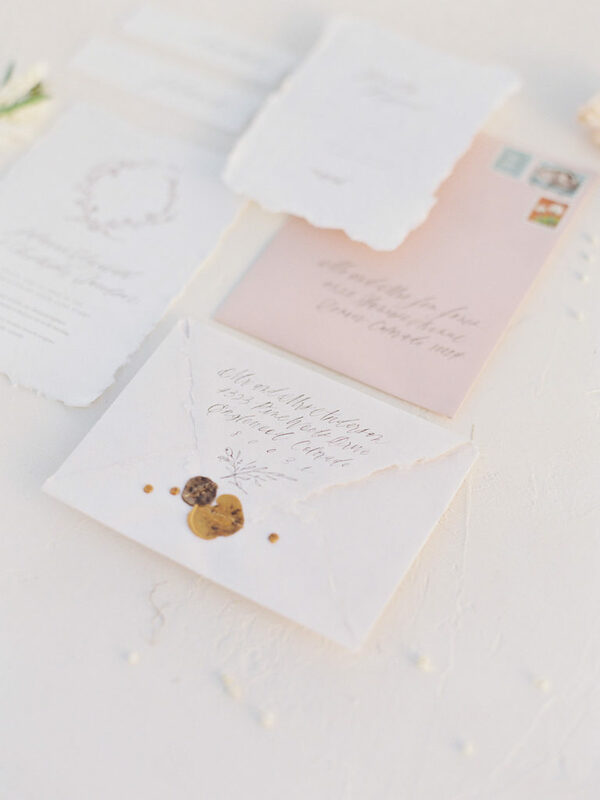 Our stationery suite, created by Sarah Ann Designs, showcased loosely calligraphed envelopes, and illustrations made by hand. 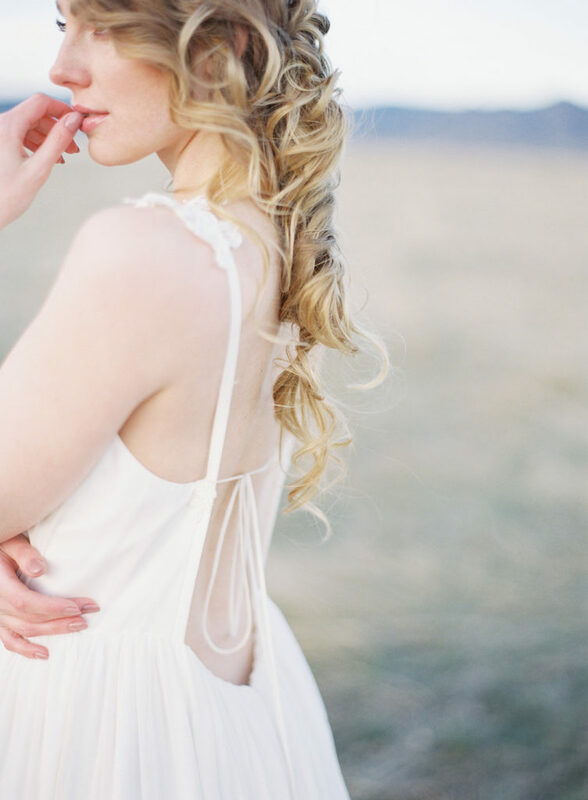 Ally Triolo worked her magic on our models from Donna Baldwin, highlighting bold brows and neutral glam makeup. 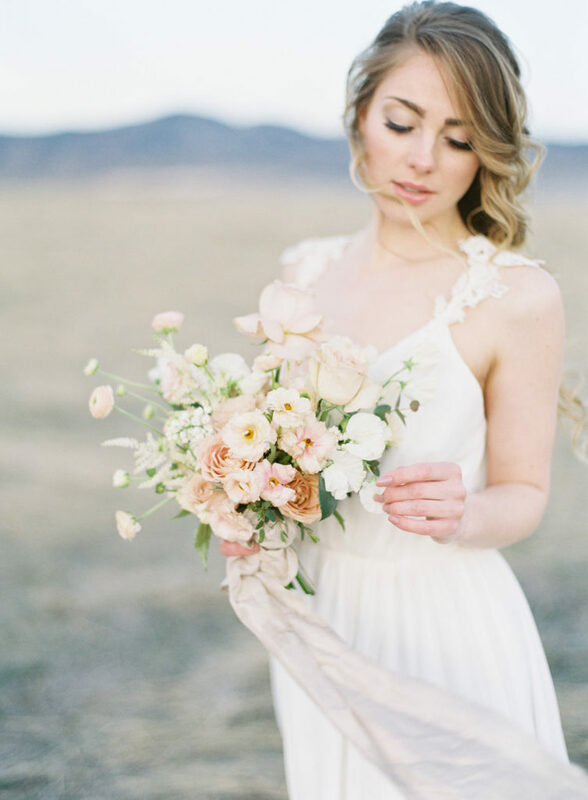 Our bride wore a gown from The Lovely Bride, Dallas. 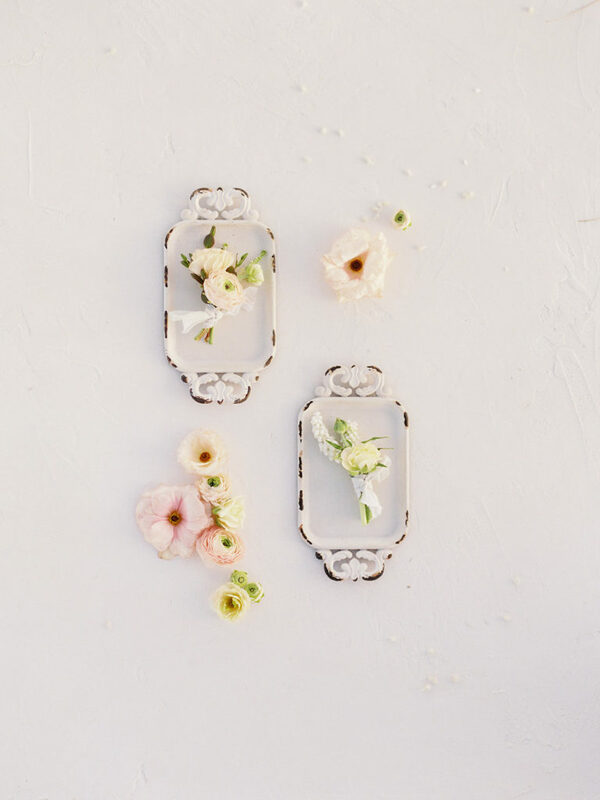 We were thrilled when Wedding Sparrow, an award winning inspirational website specializing in fine art weddings featured this beautiful session. 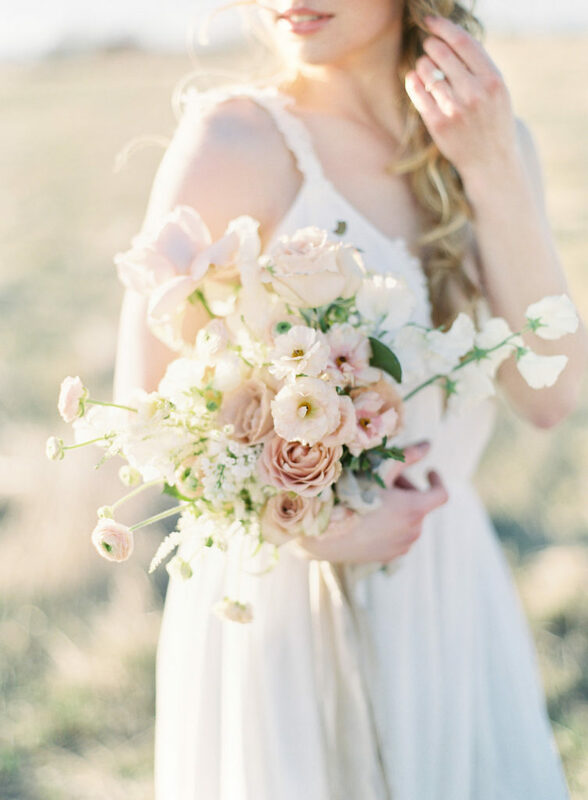 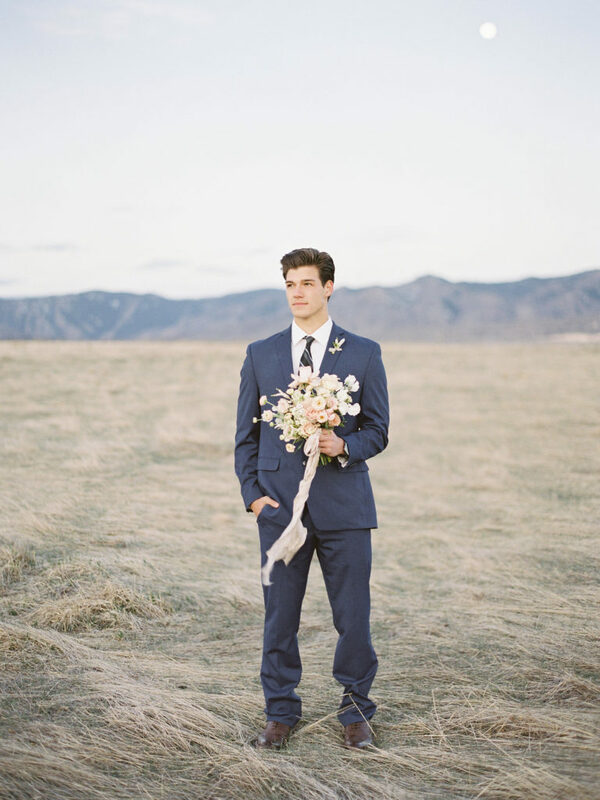 As a wedding blog for the stylish fine art bride, we felt out Colorado Romantic Spring Elopement waS the perfect fit! 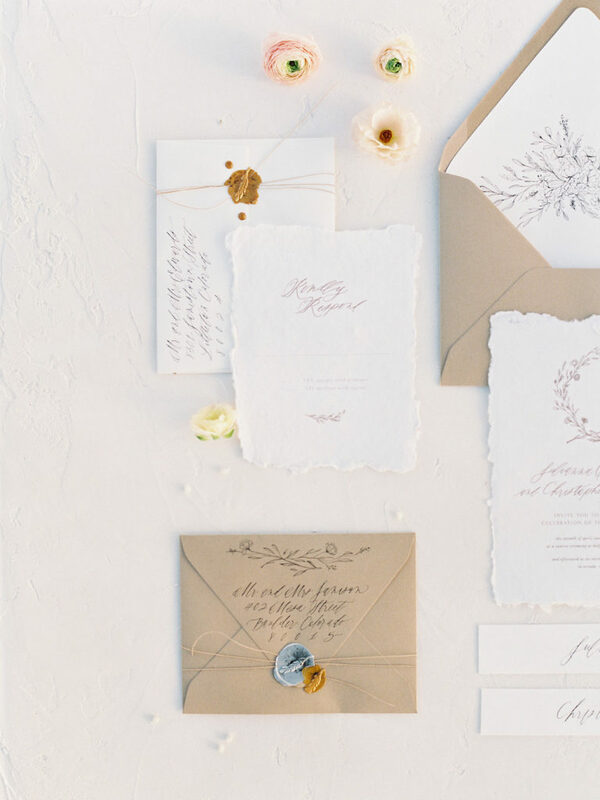 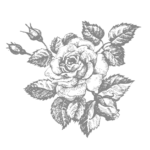 Design & Coordination – Ivory and Vine Event Co.